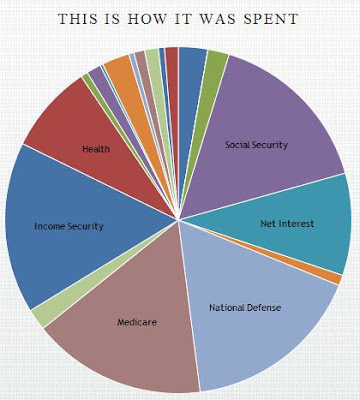 The results are similar to my figures, albeit entitlements are a bit lower in their chart--I'm not sure why. Surf over to Where did my tax dollars go? and try yourself.